is a researcher and writer who explores the connections between cultural narratives, worldviews and social change. He is currently finishing his doctoral thesis at the University of East Anglia. A great silence is spreading over the natural world even as the sound of man is becoming deafening. Little by little the vast orchestra of life, the chorus of the natural world, is in the process of being quietened. There has been a massive decrease in the density and diversity of key vocal creatures, both large and small. This striking image of a spreading silence as the auditory expression of global ecological change kept re-emerging in my thinking and writing. The quote came from John Vidal’s Guardian article about the work of Bernie Krause and his recent book The Great Animal Orchestra which recounts his lifelong experience with recording wild habitats across the globe. I got hold of a copy of the book and read it front to back in a couple of days. It is a fascinating story of both Krause’s astounding work and the ways in which we humans relate to the world through sound. 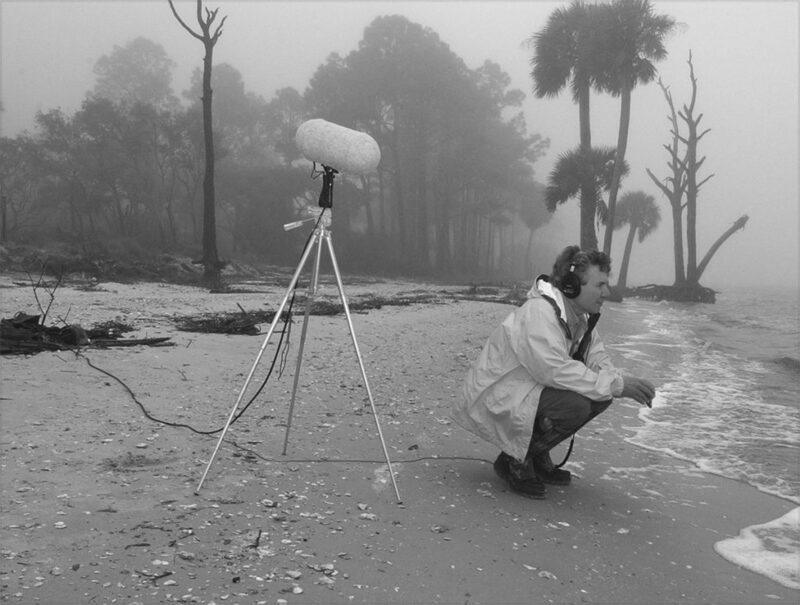 Krause is a musician, writer, and sound recordist who began recording wild habitats in the late ’60s when he got interested in using natural sounds in the electronic music he was producing with Paul Beaver as part of the duo Beaver & Krause. He went on to record and create a vast archive of natural sounds, including both marine and terrestrial habitats as well as more than 15,000 individual species (he has also recorded the sound of snowflakes, viruses, and trees ‘drinking’). In the process he studied and received a PhD in the field of bioacoustics and is one of the founding fathers of the field of soundscape ecology. He has also done pioneering work on understanding the impact of human development on natural habitats through the resulting changes in the structure of local soundscapes. 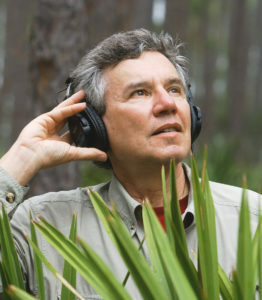 As he developed his understanding of natural soundscapes, Krause recognised three different sources of sound in natural habitats: the geophony (nonbiological natural sounds that occur in the wild), the biophony (the collective, nonhuman biological sounds that occur at given times and places in wild biomes) and the anthrophony (human-generated sounds). Through extensive listening, recording and reflection he formulated his ‘niche hypothesis of natural soundscapes’, explaining how animals have evolved together to occupy distinct frequencies and temporal bandwidths within the aural spectrum to allow them their own undisturbed acoustic territory for communicating. This shows how natural selection has caused animal voices to sound organised – like an orchestral structure – and opens up questions about the importance of bioacoustics in evolution. Krause has also made groundbreaking studies into the role of the acoustic features of landscapes in how animals interact within and populate different habitats. The Great Animal Orchestra is an intriguing exploration of biophonies as a wellspring of human culture and a potential source for redefining our relationship with the natural world. Krause believes that ‘biophonies contain the acoustic compass we need to guide us along the route of an ever-challenged planet’, and that listening to what is going on in habitats across the planet can help us map out a viable course into an uncertain future. And I think he might be right. As I read the book I looked up some of the references to both human and natural soundscapes (such as the Mbuti pygmies, coral reefs, woodland biophonies and eco-acoustic electronic music) and found myself immersed in aural universes I don’t even have the perceptive skills or vocabulary to describe. There is clearly a whole world of sound, a central and original narrative of our time, that we are currently deaf to. Listening to these stories may be one of the most immediate ways to understand and imagine global ecological change because they speak to us viscerally and ignite the imagination. But I didn’t find the quote from Vidal’s article in Krause’s book and I couldn’t track down another source for it (it appears all over the internet but they all point back to the Guardian article). Instead of finding its origins, the search led me to Bernie Krause himself, who agreed to speak with me about some of the questions that had surfaced after reading The Great Animal Orchestra. In the book he describes soundscapes as ‘manifold narratives’ and in a time when we’re urgently in need of new stories that challenge the meta-narratives of development and progress – a key insight of the Dark Mountain Project – I was interested in hearing more about how we can learn to hear the narratives that wild soundscapes are telling us. In my field, one of the probable effects of global warming is the dramatic shift in the seasons. For instance, at many sites in the American West spring is occurring about two weeks earlier than when I began recording here 20 years ago. As a result, the density and diversity of creatures is beginning to change because the timing of the food sources is no longer in sync with traditional migration patterns. This in turn affects the spring and summer appearance of many birds, frogs and insects. Different species of birds have shown up this year, for instance, ones that I never saw or heard before. They appear earlier and they’re leaving a bit later because the warm weather lasts longer. Nevertheless, even with lots of birds still present, it’s extremely quiet right now, it is never this silent this early [it was late August when I called up Bernie]. It usually gets really quiet in September but now, other than a few resident bird calls, you can hardly hear anything at all. Scary, really. And then there are other subtle changes like those in precipitation and the paths of the jet stream and ocean currents that occur so slowly in human time that we hardly notice. My strong impression is that all of these transformations are having serious effects upon the biophony. And, talking about meta-narratives and stories, the biophony is a narrative that we need to look at more closely to really grasp the signals conveyed within its complex structure, including and especially climate change. It’s the one indicator that hasn’t yet been brought into the greater discussion related to most climate change work. But it is the voice of the natural world – one that is screaming to be heard. We’re a bit tone deaf to the realm of natural sound because almost every indicator that has served as our referential eco-guide has been visual. But we can learn so much more from what the ear tells us. And to the extent that soundscape ecology data is factored into the larger dialogue about climate change, it will make the thesis much more durable. Coming across your work sparked a lot of thoughts for me around that question. I think it’s partly to do with the fact that we are a profoundly literate culture: in terms of our physical senses it seems that we always value sight over the rest of the senses. Perhaps this is what has led to this… well, when it comes to the biophony we can’t really call it blindness! See, it is engrained even in our language! I don’t think it’s so much a question of literacy. It has more to do with the issue that we’re both defensively literal and protectively institutional. In that sense we’ve become pretty dysfunctional. Paul Shepard posits in Nature and Madness that the further we draw away from the natural world the more pathological we become as a culture. Listen to the tone of most news broadcasts on any given day for validation of that observation! And everyone else not glued to the TV or radio is looking at their iPad or iPhone and finds their attention focused down on something other than the living world. It’s such a strange moment for me now because I’ve spent so much time out in the field connected to the unfolding of the life around me. I don’t feel very good when I’m compulsively bound to technology. As a matter of fact I’ve recently purged myself of the technology that I have as well as other stuff that’s been cluttering up my life – with the exception of 100 books. Apart from when I’m travelling, I almost never have my iPhone activated. I’m involved in a project with one of my friends which centres on the way we think about and engage with time and we also examine the way technology mediates our interactions with our surroundings. Part of the project is exploring how technological, networked time is creating this almost timeless void where our attention is getting fragmented in a way which enhances this dysfunction that you mention. 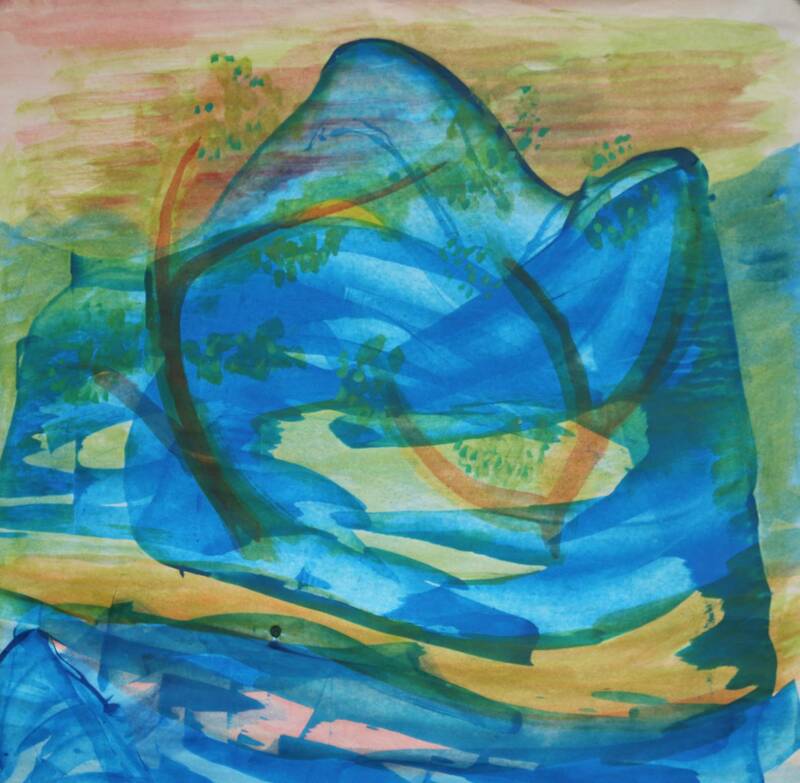 I think part of the dysfunction occurs when our relation to the natural environment is broken and our sense of time becomes disconnected with the time of the natural world. And culturally, that has become pathological. One of the things that Dark Mountain is trying to get across is that a defining characteristic of our age is loss. In terms of cultures, in terms of languages, in terms of species. Just look at how the present extinction rate is way above the normal background extinction rate. But living in a culture which is disconnected from the natural world we don’t necessarily sense this loss because we can’t feel it. And part of that reconnecting is recognising loss. Richard Louv, author of Last Child in the Woods, posits that as we lose access to wild habitats and thus our connection to the natural world, we become impaired with what he has identified as ‘Nature Deficit Disorder’, a type of infirmity that introduces debilitating kinds of physical and emotional tension into our lives. I, too, have found that in my life, especially with the incredible rate of loss of wild soundscapes. As we hear them we’re endowed with a sense of place – the true story of the world in which we live. With their loss the health of every contiguous biome as well as our own sense of well-being is affected in complex ways since it implies a conditional change for almost all the living organisms that inhabit it whether human or Other. It also occurs to me that the loss isn’t happening in a time frame that we’ve learned to accept. It unfurls way too slowly for us to get it. 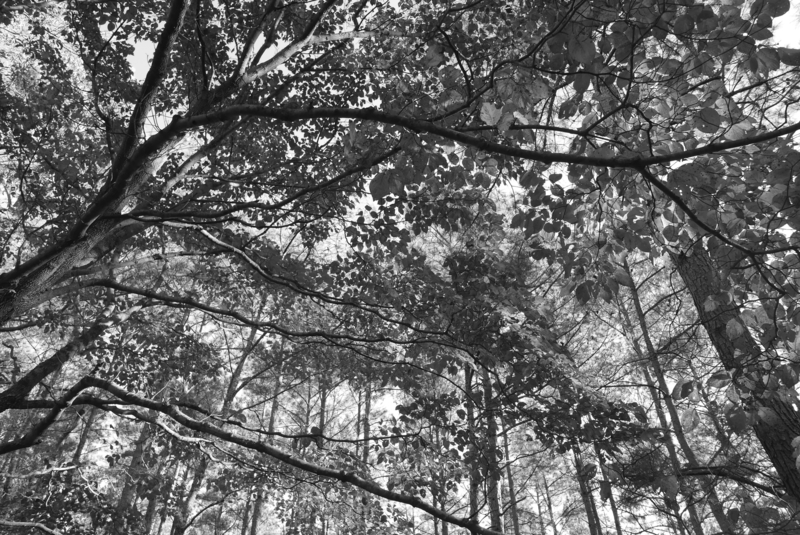 And we’re challenged when it comes to a sense of overview – seeing the whole picture – sometimes referred to as seeing the forest for the trees. You know, in the common media we are dealing with four frame cuts – the minimum instant in which most of us are capable of getting any information from sonic or visual cues. The problem is further exacerbated because we’re distracted by so many other things. So these cultures, languages, soundscapes disappear before our eyes but our minds can’t comprehend the staggering loss because we’re asynchronous with the timing of life itself. We’re further impeded because we live in such a state of disbelief and denial. Therein lies the core of our illiteracy. Here in America the state of rationalisation that exists now – and I don’t quite know how to express this yet – where any premise is allowed to serve as the basis of a logical construct almost without question, has become a major dilemma. This also serves as a deflective means of defensive response to difficult issues. Because we’ve become so historically and culturally illiterate, these are the models we’ve come to rely on. It no longer matters that the premise is false. As long as someone constructs a syllogism that appears to be logical or sustained by logical process, the premise can be false and the conclusion can be anything we want it to be. Because there is so little well-framed push-back, that muddled format is sufficient to sustain an argument of any subject. Religion or environment or culture or whatever it is. We seem to go on in this way without any kind of moral or emotional compass or anything that really helps guide us to useful information that we can then synthesise and act upon. Because this disparity has such a powerful effect on the ways in which we have come to understand the value of life, it has had a serious impact on my work. Luckily, soundscape ecology has operated ‘under the radar’ in most of the media and for over a decade. It seems to be more of a curiosity – something to promote as a ‘filler’ or odd amusement. The media have no idea just how powerful and revealing this stuff really is. Perhaps this illiteracy is connected with living in a culture where certain ways of knowing are valued above others? I mean, in Western culture ‘knowledge’ seems to be restricted mostly to mean the rational or logical domain and to those things we can process in abstract thought. Whereas other ways of knowing the world, such as listening to the natural world, are somehow considered lower in the hierarchy of knowledge and gets dismissed because it isn’t rational thought. We can mess around with premises and make them rational so that they have a seemingly valid construct. But no matter how one tries to twist the meaning conveyed through natural soundscapes – and, in particular, the biophonies – they will nearly always express answers that approach a level of Socratic truth, whether we want to hear it or not. This is in direct contrast with the ways in which we’ve come to accept other information; because people are afraid to raise the right questions. Certain groups have become so invested in defensively regurgitating wilful and arbitrary litanies of ignorance, and exhibit precious little curiosity to challenge their own intractable convictions. We find ourselves swimming around in this vortex of quasi-intellectual energy that goes nowhere. From my perspective, the world of commerce has set up these distractions that we are buying into – part of it is our fault because we do have a choice – but we don’t have the social structure or the intellectual safety net to say ‘wait a minute, this is wrong and we really need to change direction here’. We have to steer this vessel in a different direction or we are going to end up like the Costa Concordia. You know, soundscapes are completely unbiased. I will give you an example: we’ve been thinking about doing a study in the field of medicine weighing the analgesic effects of natural soundscapes in relation to music. What we had discovered initially was that music has a tendency to raise stress levels rather than mitigate them. But natural soundscapes – simply because they are not weighted by cultural baggage – tend to deliver a different result. This is largely anecdotal, of course. But we’re betting that the human mind has buried deep within it these ancient atavistic attractions to natural soundscapes. In normal terms, they would be defined as the ambient sounds of waves at the ocean or lakeshore, water flowing in a stream, birds in a forest, all of which have no particular cultural bias. For reasons that remain somewhat obscure, it appears that most people respond to different types of natural soundscapes; some prefer the desert biophonies while others choose water or mountain forest sounds. It’s just that people seem to respond to natural soundscapes more positively. It’s not a rational thing; it’s the operational limbic brain subconsciously choosing a healthful path. That said, it seems to make a big difference in people’s lives when they experience these acoustic phenomena. It certainly has for me. When we think about going on holiday what are the first things that come to mind? The need-to-relax portion of our brains imagines going to the ocean shore, or the mountains, or the desert. We generally have an initial knee-jerk reaction to the thought of getting away which more often than not envisions (aurally) those kinds of settings. And part of that equation is the quietude or solitude that those habitats ensure. That’s the illusion part – we often end up tethered to music on our iPods or iPhones, or music piped into a restaurant or even transmitted over loudspeakers to the beach, all of which masks the very soundscape that could otherwise have that necessary therapeutic effect. It ain’t the music that does the healing, it is the natural soundscape. And it accomplishes that end in much the same way that we find many of our medicinal resources: from the abundance found in the tropical rainforests of the world. This connects directly with the idea you present in the book that we all have a ‘totem natural sound’ or a ‘totem soundscape’. Something that back in our limbic brain we connect to deeply within our being, something below the radar, so to say, where we have a deeper connection with the natural world and which is something like a medicine. As I implied earlier, sometimes the curse of our human existence is our rational brain. We’ve always had the ability to transform perfectly sufficient aspects of the natural world because we felt compelled to do it. For instance, when we lived more closely connected to the natural world – like the Ba’aka, or the Jivaro in the Amazon, or the Kaluli in Papua New Guinea, indigenous cultures that I talk about in the book – we understood the sounds of the forests as having spiritual meaning because they had to be ‘something’. So we qualified them as divine sources of information that told us about what the gods were doing, whatever kinds of things gods do. We relied on that because contained within those voices was information about the kinds of creatures that were present and whether or not they were worth hunting. Among other signals, those voices were transmitting conditional aspects of the forest that we really needed to grasp if we were to survive in those habitats. There is a huge narrative structure inherent in the acoustic data that we got from the forest. At one point in our distant past we correctly heard all of that information because our lives depended on that knowledge. And, of course, from those soundscapes we recognised that all-important acoustic structure from which we derived music and likely our language. After reading the book and picking up a few of the references in there I listened to the Mbuti pygmies as well as the Ba’aka that you mention. And I was trying to process this listening experience and I think what was almost immediately clear was that my listening was completely different to when I listen to most of what’s in my music library. The vast majority of contemporary music, and historically Western music in general, has a linear structure and narrative where you almost know what to expect next. So you can kind of go on autopilot. But this music changed my listening because I had to pay attention to all the different elements in very different way. All natural soundscapes from healthy biomes – the sources of this music – are, at the same time, in a state of both flux and stability (what we call a state of dynamic equilibrium). And the earliest human music reflects this – while the themes and context remain constant – the resulting performances are mutable mirroring the subtle changes that occur over time in the biophony and/or the geophony. The Ba’aka musical performances – seen clearly in Louis Sarno’s work – reflect a type of reading that uses the biophonies of the forest as a natural karaoke orchestra with which they perform. 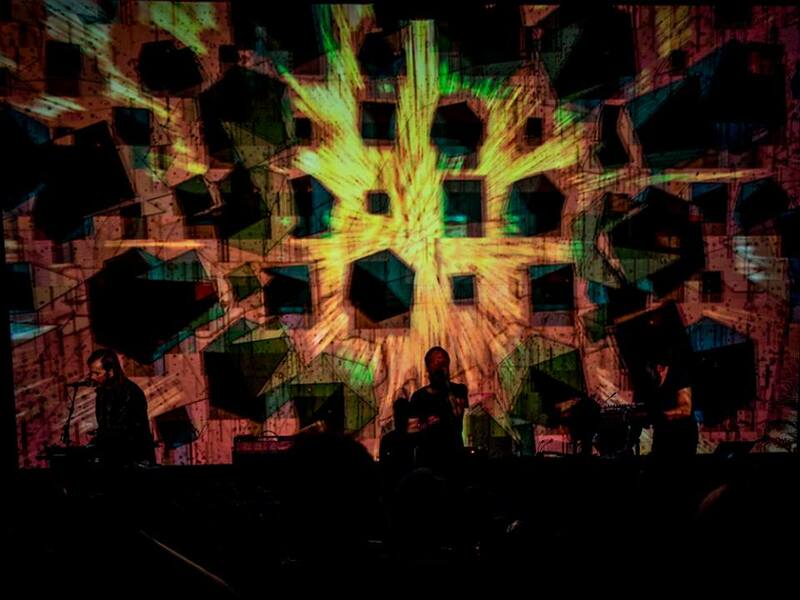 And when you think about that and listen to their music linked to the backdrop of their forest environment, it changes your way of looking at the soundscape and realising its ontological impact on us. Connecting back to the time project I mentioned, one of the key things I have found in terms of trying to notice and connect with the natural world is that we need to hone our perceptual skills and our awareness of nature’s cycles – including our own. We need to make sure that we don’t have our attention fragmented in this way that can happen when we interact with the world through information technologies or get lost in the background music or background noise of the everyday. We really need to learn how to handle the fact that in one sense our awareness is all we have. Good point. We have to refine that awareness and temper our excessive need for stuff and all that that implies with regard to the earth’s remaining resources. We need to re-engage with it in sustainable ways – ways that encourage us to use less, own less, compulsively need less. Most of this simple objective can be learned from studying the life routines of the cultures I mentioned earlier. Remember that the biophonic expression is structured almost as if Darwin himself was defining the sonic timeline of evolution. In other words, choruses in any healthy habitat in the planet go like this: first the insects establish their acoustic territory and niches. As soon as they establish theirs, the reptiles and amphibians join the chorus. Then come the birds. And, finally, the mammals. And I’m speaking, here, about cycles. You have to suspend disbelief a little in order to completely embrace this idea. The timeline is determined by where we all live. In my area, Northern California, the new year for the insects would usually begin at the end of August (this year, however, at the end of July). The insects remain vocal until the wet season in mid-November, when they begin to fade out and the amphibians begin to sound. The frogs will vocalise all the way through January and late February when the birds migrate through Glen Ellen establishing their territories with songs and calls. Last but not least, the coyotes and foxes begin to vocalise in April. This acoustic evolutionary expression occurs in every healthy biome on the planet, sometimes daily, sometimes in sync with the seasons, and in other climates, like ours, annually. For example, in a tropical rainforest the bioacoustic cycle doesn’t unfold like it does in a temperate area over a period of months; it happens in a period of hours. In areas like the Amazon, insects begin to sound in force at one or two in the morning and then, little by little, the frogs enter the biophony establishing their sonic territory. Then, at sunrise, the birds become present with great density, diversity and richness. Finally, the mammals start to vocalise. So it happens in a much shorter time period there but the cycles are still the same no matter where you are on the planet. It’s kind of an E = mc2 moment when you think about how time is defined bioacoustically across the planet. At the equator the day is always 12 hours long. The length of day only changes north or south of the equator and, of course, all critter life responds to that. Part of the natural soundscape narrative is relevant to cycles of time. We used to be completely linked to that. There was a synaptic relationship to our awareness of dawn and evening choruses at certain times of year. That doesn’t exist so much anymore because we have all this technology to call our attention elsewhere. We live comfortably with air conditioning when it is hot, we have heating when it is cold, and we have all these things that ‘protect’ us from the scourge of ‘nature’ while at the same time, we’ve transformed all too many of our lives into a practical and suffocating monoculture. I was really struck by your idea that we can look at a soundscape as an ‘acoustic mirror’ which reflects our culture and our surroundings. If we look at the human part of the soundscape – what you call the anthrophony – how would you describe that acoustic mirror of our present, contemporary culture? James Watt, Secretary of the Interior under the Reagan administration in the US, made this statement in 1982 after he shut down the Office of Noise Abatement by cutting off funds. Asked why he defunded it, he offered this insight: ‘Noise is power. And the noisier we are as a country the more powerful we appear to be to others’. In America, land of the free, we have absolutely no noise laws that are functional in any useful way. The noise levels here are chaotic, uncontrolled, and incoherent. The issue is not really thought about and there is very little concern about the health and safety of citizens from that perspective. I’ll give you an example: we live 18 miles north of a popular Formula 1 and drag race track. The anthrophony generated by the engines must cross a mountain range, several wetland habitats and a couple of cities in between. But every Sunday during the summer when there is a drag race event, I can record the sound of the races from our backyard fence line. The 100,000 people who attend on any afternoon love it. They cannot get close enough to the track to hear the roar. Another good example of when good sense loses to commerce. Reading your book I was surprised at the extent to which noise disrupts soundscapes and the time it takes for biophonies to recover from noise intrusion. You describe how frog choruses near Yosemite National Park are disrupted by a jet airplane and how long it takes for the frogs to re-establish their collective voice. And the consequence for the frogs, because the chorus masks their individual voices, is that the predators, the foxes and the birds of prey, can come in and pick them out. It’s a very powerful picture to me of how a natural soundscape can disintegrate and what noise does to the whole ecology. I am thinking and writing about loss, how we understand it and how we can physically and psychologically begin to comprehend it. And I think the image you evoke with your book that if we take the last ice age as a baseline where we have the full glory of all the various biophonies in a healthy state and compare that to the present, where it’s very difficult to get to places where there are no human noises, this is a tangible way for us to begin to understand the scale of what is going on. If we look at that change it’s one of those ‘wow!’ moments where we find a real insight underneath our disbelief. The problem, here, is that, while we’ve never left the Pleistocene in terms of human cognitive development, we obviously have no way to get a base-line recording of what any of those habitats sounded like some 16,000 years ago. While I have tried to reconstruct the soundscapes from fossil records with limited success, we won’t ever know. But here’s an important point: when I began working in this field in 1968 I could record for maybe ten hours and capture an hour of useable material. In 1968 there where still a lot of relatively quiet places one could go and get material. Today, it takes me over 1,000 hours to record the same amount of material. You have to go far and you really have to get away from things. But this is the conundrum: where can we go and still live as humans in connection with this wildlife and be respectful of it, conscious of it, and aware of the fact that it’s a fundamental part of life that’s really important? The question is not ‘how can we get to these remote places now?’ Because the last thing you want is millions of people going to the last wildlife refuges that thankfully feature no roads, no trails, no cars and no game wardens telling you where the next river crossing or gift shop is. There are rare places where you are completely on your own. The last thing you want is a lot of people out there ruining what little is left. I’m not even sure that I should be there. But we have to find ways to accommodate how we live and who we are now. I listened to some of the eco-acoustic music you mention in your book, among others David Monacchi, and I had some of the same experience listening to that as I did with listening to the Mbuti and Ba’aka peoples. And that’s the wonder because perhaps with the technology we have today, which we’ve been speaking critically of, we do have an opportunity for creating a listening experience which allows us to learn the skills we need to focus our attention. Yes, Monacchi is one of a handful of people doing that type of creative work at the moment. But there are now others. As a matter of fact I’m collaborating with a fellow from the UK by the name of Richard Blackford who was Composer in Residence at Oxford. Together we’ve collaborated on a symphony called The Great Animal Orchestra: Symphony for Orchestra and Wild Soundscapes, which is going to be premiered at Cheltenham next July 12th with the BBC Symphony Orchestra. I’ve provided the soundscapes which Richard is incorporating seamlessly into the score, all of which will be performed live. It features the use natural soundscapes as an integral component of orchestration. Incorporating whole soundscapes into our music repertoire is really an important step. The first time I tried that was in an album I did in 1968 with my late music partner, Paul Beaver. Called In a Wild Sanctuary, it was the first to integrate entire urban and natural soundscapes into a composition. And, also the first, I must say, on the theme of ecology. Until that point, ‘nature sound recordists’ had exclusively travelled around the world capturing the sound of individual species with these large, cumbersome parabolic dishes, in the process abstracting, deconstructing, and fragmenting the sounds of the natural world, reducing them to individual parts. To me, this was a little like trying to understand the magnificence of Beethoven’s 5th Symphony by abstracting the voice of a single violinist and hearing only that one part completely out of context. What’s remarkable is that several of the major collections that feature this type of distortion – those that continue to be funded, in part, by public money – are housed at institutions like Cornell’s Macaulay Library of Natural Sound and the British Library of Wildlife Sounds. They are very late in recognising the full value of biophonic data. That’s a very powerful metaphor for the kind of reductive thinking that our culture is so steeped in: the complete ignorance of context. That’s what I find with a lot of environmental science and the whole project of valuing nature and putting a price on ecosystem services in terms of what they ‘provide’ for us. It’s a very shortsighted way of thinking that focuses on the individual organism and forgets about all the ways it is connected with its environment. You take the whole, pull it apart and think you can describe it in terms of the components and you just completely miss the larger picture! That’s why I think the reintroduction of single voices into the whole soundscape, and the work you are doing with broadening our understanding of our acoustic environment, is so important because it shows how limited our view has been. Finding out about the aural aspect of the changes happening in nature really brought home to me what loss means in almost a physical way because it is such a powerful way of expressing something that is hard to grasp in abstract thought. You are absolutely right. And your thought is especially important because, as I’ve said before, my archive is particularly valuable because fully 50% of the habitats that I’ve recorded are so radically altered that they are either altogether silent, or you can no longer hear them in any of their original form. Only in my library. And that’s in just 45 years! And most of that, oddly enough, which I didn’t say in my book or the TED lecture, has occurred since 1989 at the time the Berlin Wall fell. When the United States and Western Europe were confronting the Soviet Union – a time when the US illusion of democratic capitalism and the distorted Western sense of communism prevailed – the US, in particular, took the moral position that capitalism was better and healthier for human beings than the communist system. It was an idea we marketed through corporate voices with great success. The unions were strong and the disparity between what the workers earned and what the people at the top earned was much narrower than it is today. When the Berlin Wall fell and the Soviet Union came apart, the patina of moralism fell away along with it. The corporations no longer had to concern themselves about unions and about people’s welfare. They no longer had to be concerned about what kind of forests they were cutting or what kind of resources they were extracting because there was no moral basis needed for this kind of unrestrained or unaccountable pillage. Capitalism, after all, had supposedly won the game. As a result, the whole economic and social structure has been completely torn apart since 1989 and what I’ve seen is that an extraordinary and ever-increasing amount of the remaining old growth forests, from Asia to Africa, have been felled since that time with no accountability and no thought of the consequences. Mining and the resultant pollution of contiguous river systems is another such open secret. Yet the birds, frogs, mammals, insects and riverine critters are crying out for us to stop… mostly through what remains of their muted voices. When I started in 1968 I was told by David Brower that 45% of our old-growth forests in North America were still standing. Just before he died we had another conversation, it was in the late 1990s I think, and he said, ‘guess how much is left now?’ It had gone from 45% to only 2% left of old-growth forests. This whole thing has accelerated. I have never been able to verify his source so I use this extreme only as a metaphor. I’ve got to tell you, while I’m hopeful because I talk to a lot of young kids and there’s a lot of positive energy out there, I’m not terribly optimistic. It seems like there is a slight sadness in parts of the book but you finish it on a ‘coda of hope’. It must be difficult to come back to some of these places and actually hear a spreading silence. I really feel very saddened by it but on the other hand when I grew up in the 1940s and 1950s I grew up with completely undiagnosed ADHD. My parents tried all kinds of remedies to what was then an undiagnosed ‘condition’. While at university I took all kinds of medication, some of which carried over into my early music career. I was pretty much on drugs until ’67 when I quit, cold. None of these things really helped me very much. It was only when I got out into the field and began to record natural sounds that I began to calm down and feel less anxious, less stressed and more centred. What’s particularly fascinating is this: my archive signifies that whole progression. When I began to record in ’68, ’69 and the early ’70s my recording samples were maybe a minute or two long. I was always scratching and shuffling my feet nervously, or otherwise fussing around and making noise. I just couldn’t sit still. But little by little I was able to stretch that to three minutes, then five minutes, and then later a whole reel of tape, which lasted 22 minutes, on a regular analog tape recorder. When transitional digital audio tape (DAT) recorders came out in the 1980s, I learned to be quiet long enough to record as much as 90 minutes. I was definitely on my way to recovery… or at least a sense of having stabilised the problem. Finally, with the advent of hard drives and flashcards in the early 2000s, I’ve found myself able to sit quietly and peacefully for very long periods without making any noise at all. So this thing, finding a way to listen to the world, has really changed my life. And sometimes I’m not as physically able to revisit these places because I’m 75 years old and it has become a bit difficult (although not impossible) to get in and out of tents and my reaction time isn’t quite what it used to be. But whenever I replay these gorgeous biophonies, they still have that calming and centring effect. I can sit quietly now and listen to these wild recordings and say ‘yeah, my god, that was really what was there? !’ I relive those joyous moments over and over. And these soundscapes could become a source of everyone’s delight. That is my hope. Bernie Krause is the author of The Great Animal Orchestra. Since 1968 he has recorded and researched wild habitats across the globe. You can find out more about his work at www.wildsanctuary.com or by watching his recent TED talk. I agree we have to leave parts of the planet alone and reconnect with nature in a non-destructive way. I like the idea of streaming high quality sound and vision from these areas so people can enjoy it and be part of it but not destroy it – something humankind does so well. Not thinking clearly during one of my responses, I used the wrong expression to speak to the issue of human-generated sound, anthrophony. “Anthro,” the Greek prefix, literally means “cave.” When the suffix, “phon,” is added, it refers to the sounds caves make. At the recent June Paris conference on Ecoacoustics, the word was corrected to “anthropophony,” because it is “anthropo” that connotes human. same comment. Is there any means you’ll be able to take away me from that service?